Our company offers hardware and software, as well as a broad selection of accessories, supplies and consumables. In addition, we offer a full range of networking products, which adds up to a single, reliable source for all of your computing needs. 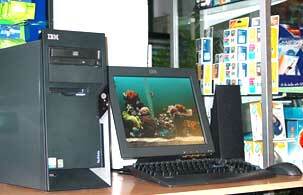 PCs and base units to suit every budget. Our products are all brand new, built to the highest standards and delivered to you using an express delivery service.